Following The Dark Knight comes the Batman game we've all been waiting for Batman Arkham Asylum. One that the film deserves. If you don't follow the Batman comics basically Arkham Asylum for the Criminally Insane is the setting of this game. It's a psychiatric hospital in the DC Comics Universe, usually in stories featuring Batman. 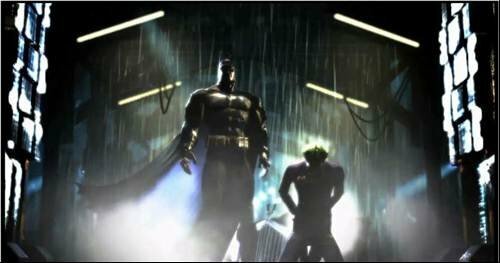 Many psychotic criminals, including a number of Batman's enemies, such as The Joker and Two-Face, have been imprisoned within the Asylum. Let us know what you think. Click here to send me an email if you think we've missed any. I continue to be amazed at the photorealism in the games, although in a few cases, I think the image is a cut-scene, not a real gaming interaction. Lots and lots of immersive violence here -- not much I can play with my daughters. "Trine" looks interesting, combining puzzles with real physics. I used to really be annoyed with the stairs in King's Quest - as an adult I realize now they were part of the game.